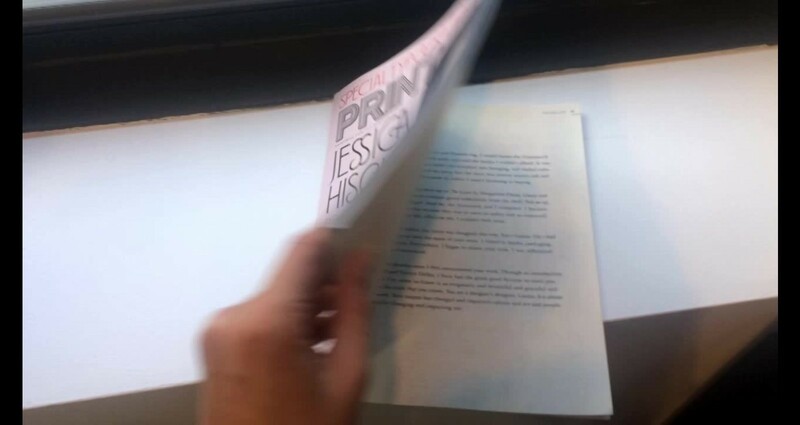 Debbie Millman, editorial and creative director for PRINT Magazine, wanted to write and dedicate a love letter to Louise Fili for PRINT Magazine's summer 2017 special typography issue. 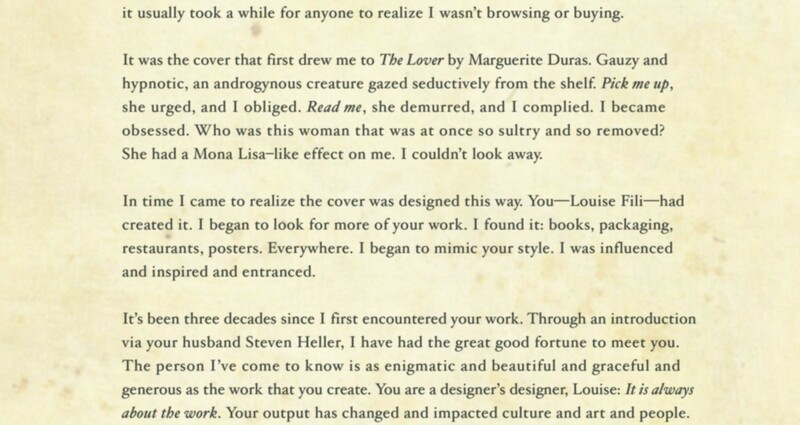 Debbie's vision for the love letter spread was to recreate Louise Fili's book cover "The Lover" using a photograph of Louise. 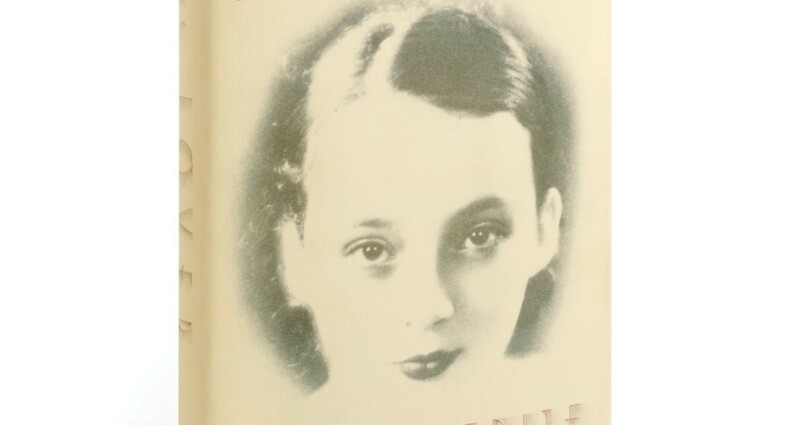 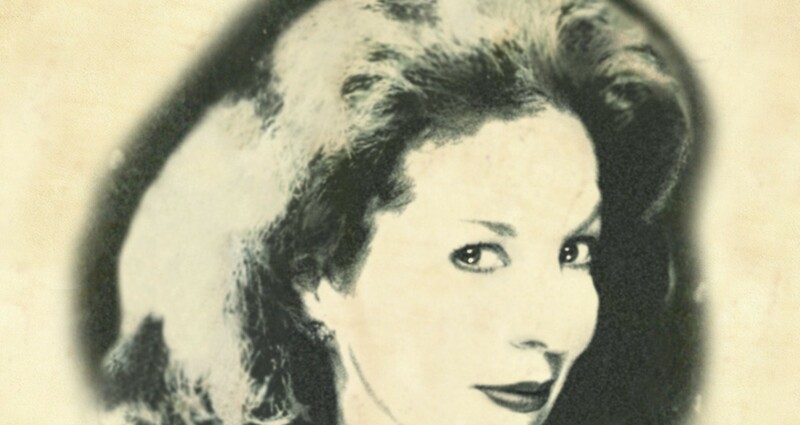 The design challenge was to render a photograph of Louise Fili to mimic the classic book cover of “The Lover” and to recreate the typeface for the special tribute.